Copyright �2013 PopEntertainment.com. All rights reserved. Posted: October 17, 2013. 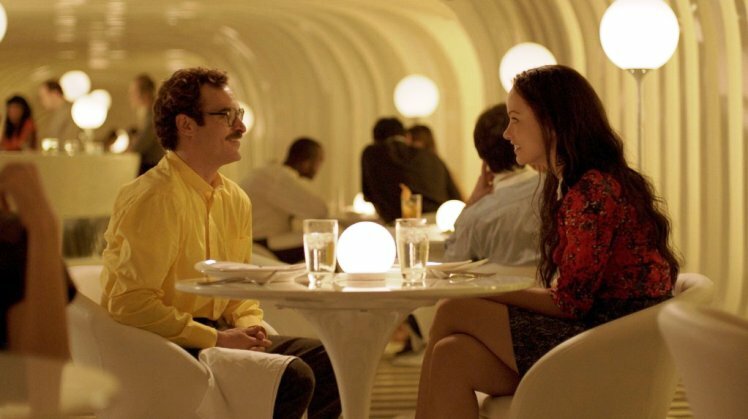 Theodore (Joaquin Phoenix) is tired of trying to meet girls sometimes in near-future Los Angeles (which looks a lot like modern day Shanghai). He's a sensitive guy who works for a company that composes personal letters for people incapable of expressing that kind of intimacy at a time when your computer tells you how to behave and when to do so. Going through a divorce after being dumped by estranged wife Catherine (Rooney Mara), the heartbroken Theodore at first becomes intrigued with the new, advanced operating system that speaks to him � literally. Voiced by Scarlett Johansson, Samantha promises to be an intuitive and unique entity in its own right. Once initialized, his OS, a bright, female voice, is insightful, sensitive and surprisingly funny, so he's not fascinated by her, he falls in love with... Her. Though Phoenix's performance is surprisingly subtle and touching the real surprise in director Spike Jonze's intellectually challenging film is Johannson as the voice, which makes decidedly unique and provocative decisions on its own. Having had its world premiere at the 2013 New York Film Festival, Spike and company � Joaquin Phoenix, Amy Adams, Rooney Mara, and Olivia Wilde � took to Walter Reade's stage and conducted this press conference after a preview screening. Spike Jonze: The initial spark was an article I saw online, where it linked to an instant message � you could have an instant message with an artificial intelligence. It may have been called Alice Bot. 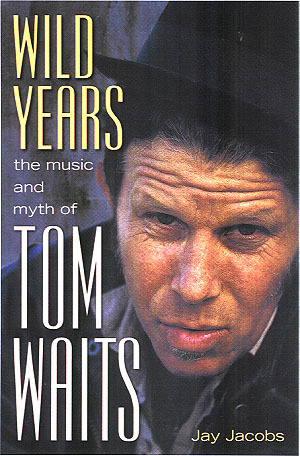 It was 10 years ago. I had this buzz of, "Wow, I'm talking to this thing. This thing is listening to me." Then quickly it devolved into this thing that wasn't intelligent; it was just parroting things it had heard before. It was a clever program. I didn't really think about it for a long time. Then I eventually thought about a man having a relationship with an entity like that, but with a fully formed consciousness. I thought, "What would happen if you had a real relationship?" I used that as a way to write a relationship movie and a love story. What were all your initial responses to the script? Joaquin Phoenix: I liked it. Amy Adams: I also liked it. I think I met with Spike before I read the script, so I was more into Spike's vision. It was compelling. It was at a time where I was really busy. I had a baby, and I was like, "I don't have it in me to do a film right now." But every time I met with Spike, I couldn't say no because his vision was so beautiful, and it was in line with the kinds of issues I was dealing with. That's the great thing about this film: everyone finds their own pieces of issues in it. I just couldn't say no. I had to work with Spike. 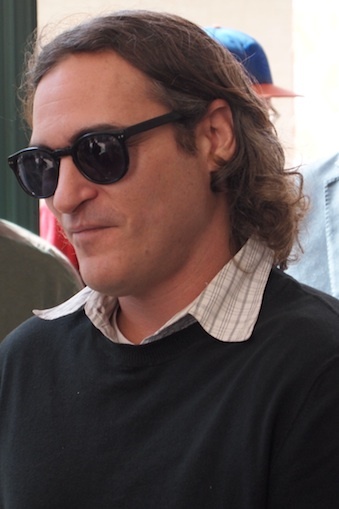 Joaquin Phoenix: You could've said no, Amy! Amy Adams: I couldn't. He looks very sweet, but he's very insistent. Spike Jonze: It was more like I would pretend I'd be about to cry if you said no, and you felt too guilty. Rooney Mara: I really liked it too. I actually had to beg Spike for the part. I didn't have the option of saying no. I had to beg you for it. Olivia Wilde: I loved the script. It worked. Everybody else was already in place. It's interesting. I loved that this supporting role was another piece of the puzzle that Spike needed. I wanted to be able to make it work the way it needed to work for the story. I wanted to figure out what Spike needed to serve the story, to make it complete. [I wanted] to create something for Theodore to bounce off of, to then fall in love with Samantha. It's the experience that pushes him into this deep love. Spike and I read for an hour-and-a-half and had so much fun with it. Even after that experience, I thought, "If that's it, that's already great. I already love this experience." Getting to go to China for a week and getting to hang out with these guys was pretty amazing. This is very specific and detailed near-future world that you created with your longtime production designer K.K. Barrett, combining Los Angeles with the exteriors in Shanghai, right? Spike Jonze: The initial idea was to try to make this a future L.A. that felt nice to live in, where the weather is so nice, and there's great food, and you have the mountains and oceans. But even in that setting, you can feel very isolated and very lonely. I'm making this utopian future [where] to feel lonely in that setting is even worse because it's a world where, seemingly, you should be getting everything you need. It seemed like an interesting setting. I met the architects who did Lincoln Center and the High Line � Liz [Diller] and Rick [Scofidio]. I got the opportunity to go to their office and talk to them. Liz had gone to film school before she became an architect, so she was very interesting to talk to because she came from a storytelling [background]. This was when I was still writing the script, so I was still trying to figure out what it was. I remember asking her what the future could look like. She asked a simple question: "Is it a utopian future or dystopian future?" It's the basic question that made it concrete. I started [telling her] these ideas I was imagining. I had this idea that it would look like the colors from Jamba Juice. She said, "OK" and started giving ideas and talking about stuff. Joaquin, what were some of the challenges of acting opposite someone who isn't there physically? Joaquin Phoenix: I'd like to say I trained really hard. But as an actor, I'm accustomed to walking around the house talking to myself. You rehearse all the time, so I don't think it was that dissimilar. And the loneliness aspect of the film? Joaquin Phoenix: I don't know how to answer this. All I was concerned about was trying to feel natural to something that wasn't there. I think I kind of overlooked the loneliness of the character. Samantha Morton was the original voice of Samantha. How did Scarlett Johansson replacing Samantha Morton change the tone of the Samantha character and the tone of the movie? Spike Jonze: Every movie � at least the ones I've worked on � takes a long time to find what it is, and that was part of the process of this movie. I'm hesitant to answer that question because what Samantha [Morton] brought to the movie by being with us on set was huge. What she gave me in the movie and what she gave Joaquin off-camera was huge. And then I think what Scarlett gave the movie was also huge. I would rather leave it at that. Why did you decide not to give Samantha an avatar or image in cyberspace? Spike Jonze: I liked the idea of her existing the way she does exist, which is more in the ether and in [Theodore's] heart and psyche. Olivia Wilde: I would add, as a fan of that choice, that I think she then becomes your ideal; it becomes your own experience. Even if people are familiar with Scarlett's voice, and imagine her as an actress, it transforms that. I think she becomes whatever you want her to become. If you had defined her, you would have stopped people from being able to create that for themselves. That's one cool effect of it. Where did the Perfect Mom game come from? Spike Jonze: I think the pressure of parenthood and the peer pressure of parenthood seemed like a funny setting for a video game for me. Amy, you're a parent. Do you find that kind of peer pressure? Amy Adams: Oh yeah, it's really intense. I think we ad libbed some of that stuff � like "Oh yeah, I know this." What do you think this film says about what it means to be a man, what it means to be a woman, and what it means to be intimate? 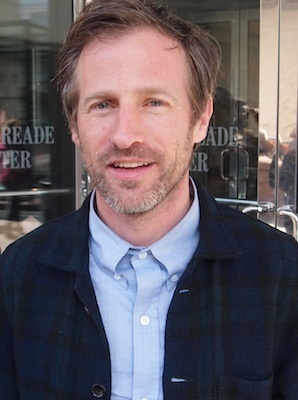 Spike Jonze: I don't know if I can live up to the question, but thank you for that. I was thinking about one of the conversations Olivia and I were having when we were rehearsing. It [was] about what you [really] hear when somebody says something to you. There's a scene where Olivia says, "When am I going to see you again?" What does she hear when he says, "I'm not sure. I'm busy." We were making up all kinds of stories about what she actually hears that gets her to the place where she says, "You're a creepy dude." That's inherent in everything � not exactly hearing what they say, but hearing what you think they actually mean. Olivia Wilde: You said something really interesting yesterday about how the artificial intelligence carries no baggage. She's pure, which makes her even more of a kind of an ideal � romantically, of course. The difference between human and artificial intelligence is baggage. So whereas the blind date carries an enormous amount of pain and baggage and projecting all of that on what Theodore is saying, Samantha is so open-minded and only sees the best and assumes the best. That's the difference between human and artificial. Spike Jonze: One of the things we talked about, and what I talked a lot to Scarlett about, was that Samantha is brand new to the world, so she's like a child that hasn't learned any insecurities, any self-doubts. [Samantha] learns through the course of the movie. She has these experiences that give her those painful situations that create those self-doubts. I think that's when Scarlett started to understand just how hard that role would be, to try and go back to that place where you don't have those kinds of fears yet. Can you talk about why so many of the characters don't really question the idea that a human can fall in love with an object that has artificial intelligence? Rooney's character seems to be the only character in the movie who questions how normal it is. Spike Jonze: Yeah, there might have been a couple of other characters along the way that questioned it but fell by the wayside. But it seemed like Rooney's character and Rooney's performance delivered that message and represented that part of the population. This film has a lot to say about the idea that people expect relationships to be perfect. What was the starting point that you used to build the concept of relationships in this movie? Spike Jonze: I guess what you're asking is how much did we talk about the ideas of the film versus the relationships and the characters of the film. I'd say we mostly talked about the relationships and the characters of the film. Amy Adams: Yeah, we spent a lot of time dissecting the characters and finding the truth of where they were in that moment. Spike Jonze: When Amy and I started working together, we talked a lot about how we were meeting this character at this moment in time. She's been trying to be all these things to her husband and to her relationship and everything. She's imploding. Amy Adams: I don't think intimacy is a male or female thing. If Spike is exploring it from a male point of view, it's because he's male. But I don't think being fearful of intimacy, or lack of intimacy, is specifically male or that is a failure in men. And there are a lot of different reasons. It's hard to boil it down to one thing. Each person has their own reasons why intimacy is hard. For Amy � and I'm not talking in third-person, I'm speaking of my character � Amy has a hard time with intimacy. Amy has been pretending to be somebody else and something she's not. It keeps her from being herself. When you're not expressing yourself as your true self, you can never find true intimacy, because you're always hiding. I think that the relationship she has with Theodore is probably most intimate in her life because it's the most honest. Spike, how difficult has it been to maintain a creative identity over the last 20 years of your career? Spike Jonze: That's an interesting question. I don't know if I have a good answer for it. I guess just making a lot of mistakes, doing a lot of things along the way that didn't feel like that was me, and learning from those mistakes, and staying on the things that felt more true to me. CLICK HERE TO SEE WHAT AMY ADAMS HAD TO SAY TO US IN 2008! CLICK HERE TO SEE WHAT ELSE ROONEY MARA HAD TO SAY TO US IN 2013! CLICK HERE TO SEE WHAT ROONEY MARA HAD TO SAY TO US IN 2015! #1 � 2013 Brad Balfour. All rights reserved. #2 � 2013 Brad Balfour. All rights reserved. #3 � 2013 Brad Balfour. All rights reserved. #4 � 2013. Courtesy of Warner Bros. All rights reserved. #5 � 2013. Courtesy of Warner Bros. All rights reserved.